HRANA News Agency – At least 30 political prisoners in Ward 10 in Rajai Shahr prison in Karaj, still continue to protest by refusing to accept the prison’s food. In protest against the unlawful deprivations and restrictions imposed on them, they demand the delivery of their lost and stolen personal stuff and equipment from the prison authorities. The Equipment of 35 rooms in prison is worth 3,85 billion IRR. 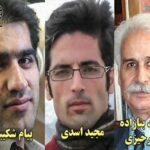 HRANA News Agency _ Majid Asadi, Payam Shakiba, two former student activists and Mohammad Banazadeh Amirkhzai have been sentenced to 28 years imprisonment and four years in exile by Branch 26 of Tehran Revolutionary Court. 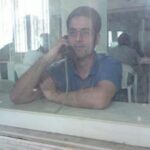 HRANA News Agency – Majid Asadi’s physical condition is reported to be inappropriate in Rajai Shahr prison in Karaj. The prisoner who suffered from acute inflammation of the spine and the digestive tract, was transferred to the court in a very bad situation on November 5, 2017. 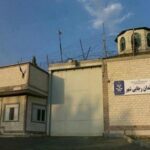 HRANA News Agency – Rajai Shahr prison in Karaj where in recent months has been the scene of the crisis caused by the pressures on the political prisoners and their mass strike, despite the passage of time, continues to face other challenges, such as lack of proper nutritional and medical treatment. 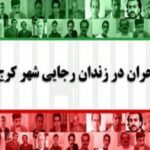 HRANA News Agency – An estimated number of 50 political prisoners held in Rajai Shahr prison in Karaj have been transferred to a new and security hall in recent weeks. There are the deprivations which have been imposed on prisoners in this hall where even the toilets are equipped with CCTV cameras. The situation has prompted political prisoners to protest. At least 16 prisoners are on hunger strike in a critical condition. 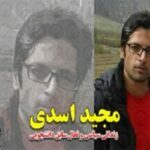 HRANA News Agency – Majid Asadi, former student activist and political prisoner, was arrested violently in his house and transferred to Evin prison by security forces. 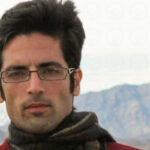 HRANA News Agency – Majid Asadi, political prisoner have been released from Evin Prison.